With new footwear releases dropping every week, there can seem to be a little too much to choose from. With constant changes in silhouettes and materials, sometimes you just want something simple and well made that happens to look just right with almost anything. Vans has recently updated it’s well known skate classics with newer “Pro” versions. Classic waffle soles are now wrapped in a more durable outsole and the insides are padded, providing extra cushioning while retaining the coveted board-feel that they are known for. Our favorite among them is the new Slip-On Pro in thick, black suede uppers with a crisp white outsole. The extra nice touch is the black elastic around the collar of the shoe. 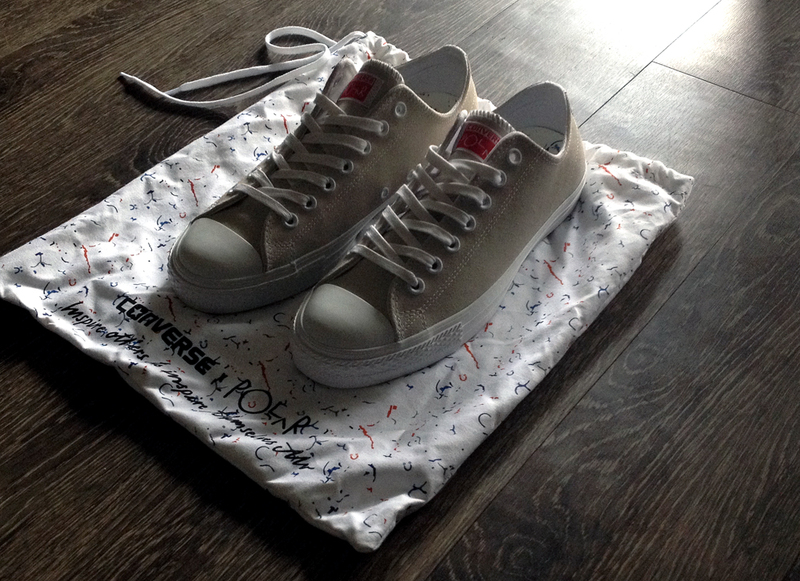 Converse CONS has a new series of the ever-popular CTAS Pro designed by Pontus Alv of Polar Skateboards. A hi top and two low options; the light grey low is just too clean. After doing away with the black stripe around the outsole and adding a Lunarlon to the inside, the Poler crew also included custom labeling on the tongue as well as Pontus’ hand drawn art to the heel tab, insoles, and custom dust bag. Both shoes are available online and at better skateshops near you.